For my project today, I have created this FUN and FUNCTIONAL Beach Bag!! Can you guess what it was created from??? Please become a follower of my blog and leave me a comment answering this FUN question: "Have you ever Upcycled? If so, what kinds of things to you like to find new uses for?"!! 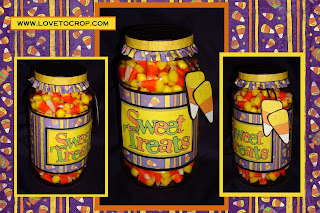 Thank you again for checking out my project... Now hop on over to Heather's blog and remember to visit all the stops for more chances to WIN!! Heather- http://stampdetails.blogspot.com/ Go here NEXT!! Super cute. I love to take jars and make them look beautiful. you did a fabulous job. this one seems to b fun ! I love anything recyled. This is fabulous and such a GREAT idea Amy! I will have to try and remember that when making halloween gifts. TFS! Great job as always my friend! 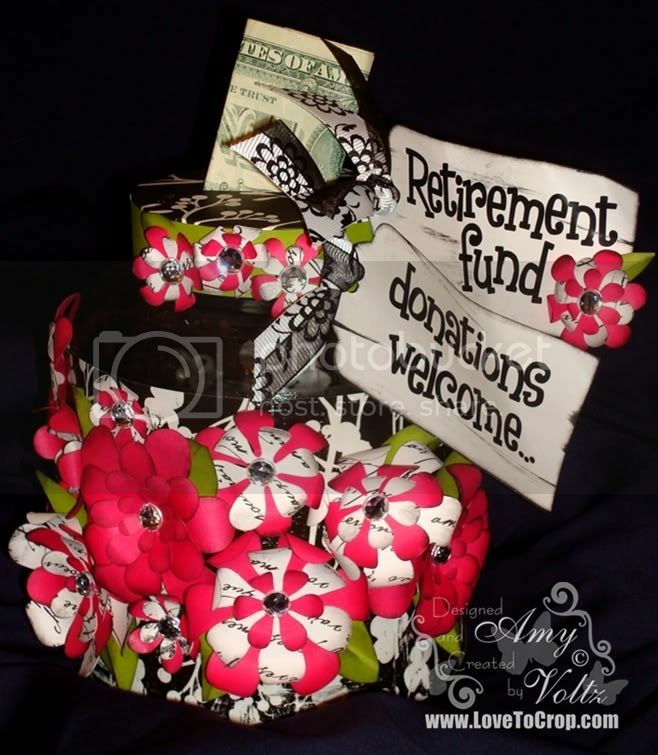 I love all the projects from recycled items, especially the retirement jar!! Stinkn blogspot! This is why I ran away to Wordpress! LOL! Thank you so much for participating in my hop sweets! Nice projects! I'll come back to see your photos! I always save jars to recycle! The jars are visible--but not the bag. Will try back later. The jars are nice. I like the retirement one. Your flowers are gorgeous. Nice to read (other post) that you made them yourself. And YES, I would like to know how to make a paper lid, please . . .
Nice to hop host with you. I did guess you used an exercise ball cuz I sit on mine at my desk every once in a while :). I hope you will let us know in the group when your pics are up. I'm following you now because I love repurposing/upcycling items especially thrift store finds from the housewares section. I have a segment on my webshow called 'So, what would YOU do with this?' -- so much fun thinking outside the box, hunh? I've never upcycled a jar before, but I have re-decorated boxes and bags. I like covering the name of a store on their shopping bag with scrap paper! I like to recycle jars too. Yours are so cute, especially the retirement. I use the containers soup come in from Safeway to store ribbons. I have rods in my craft room for the full spools, but what to do with 10 or 12 inches of ribbon. They look nice on the shelf. Im sure your bag is super cute! All your projects are! 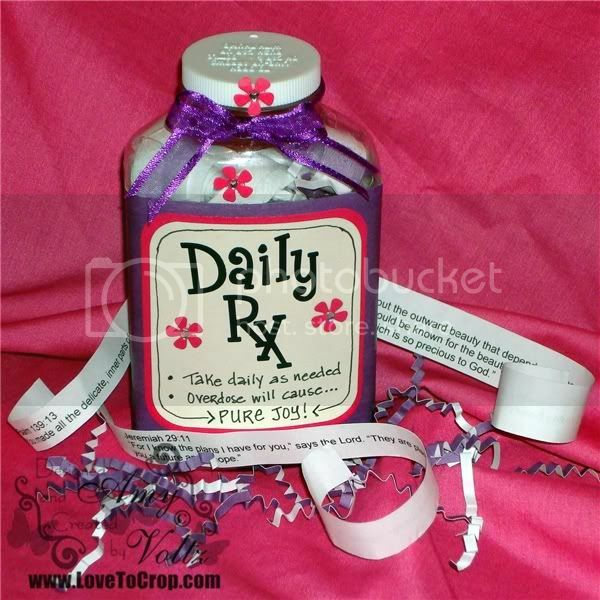 love the pill bottle too!! I would love to win your embellies! School Blog Hop -- Day TWO! !